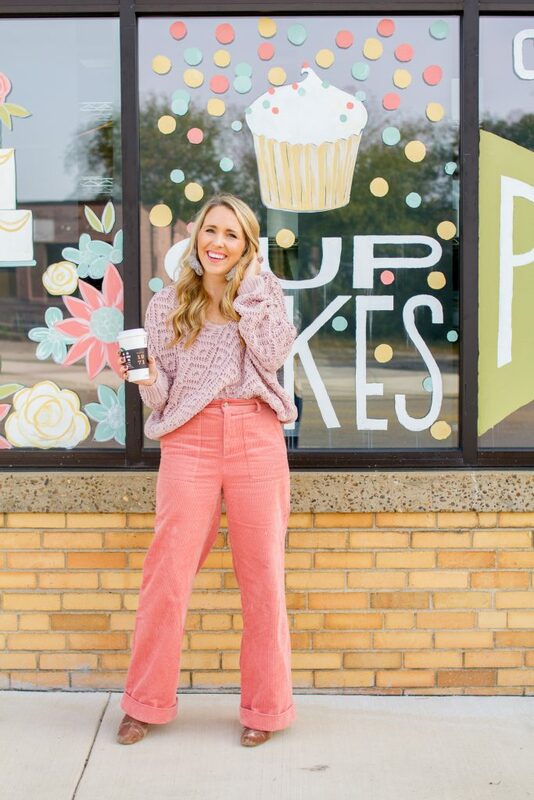 I spotted these corduroy pants at Forever 21 and immediately knew they were a must have! How fun are these?! 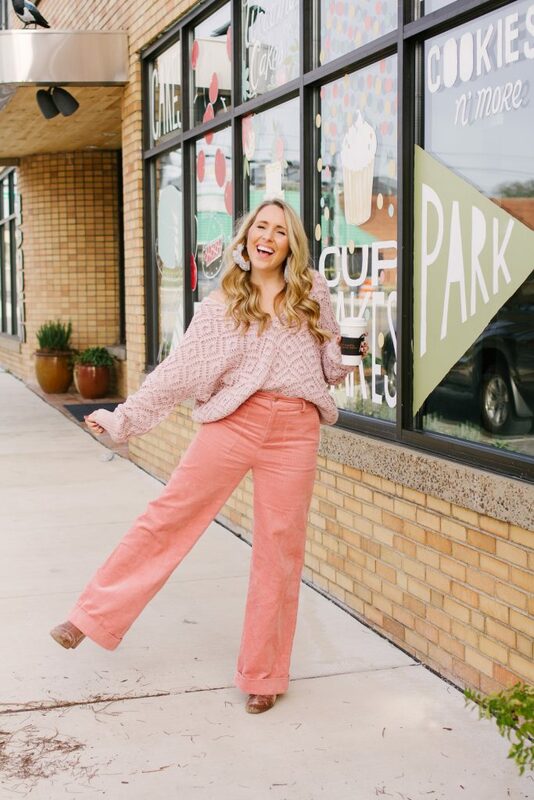 I know they’re not for everyone, but for this pink lovin’ gal, they were definitely a fun piece for me to add to my closet! 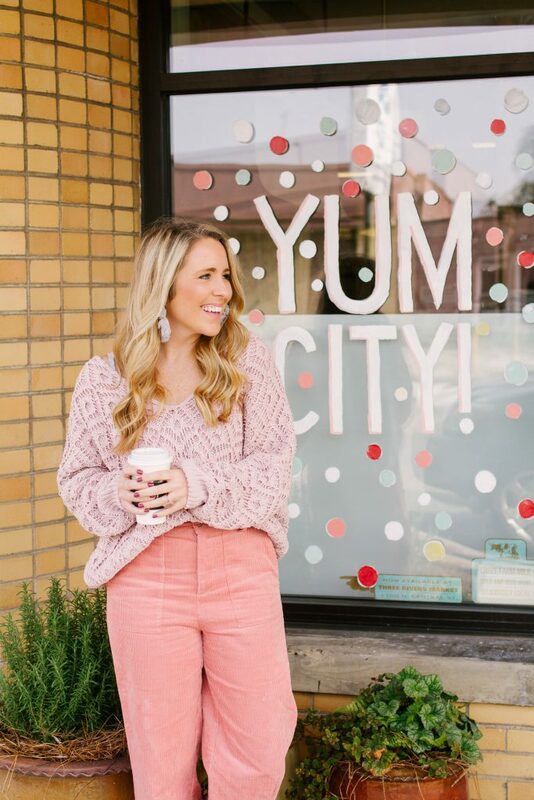 I paired them with this gorgeous oversized pink sweater and my pink booties for monochromatic pink outfit, that again, I know isn’t for everyone but I just LOVED! Just over here living my best life in head to toe pink ha! 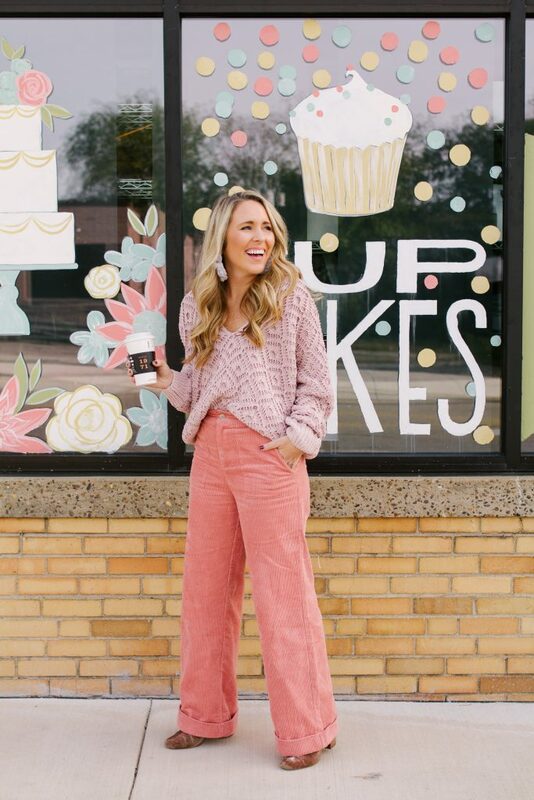 Pink corduroy pants miiiiight not be your thing but keep reading. Let’s talk about how corduroy is back! I remember having some corduroy pants in maybe middle school but I don’t think I’ve owned any since then. It kind of just fell off the fashion scene for a while. But It’s such a great fall texture and can add a fun aspect to your outfit! I’ve seen skirts, jackets, jumpers, pants, tops and shorts in all kinds and colors of corduroy and I love it all! I’ve rounded up some of the best corduroy pieces below and I want them all! 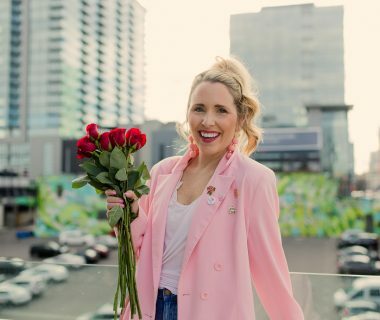 I especially love it because it’s a fun little ‘bringing back the 90’s’ but you don’t have to feel like you’re totally dressed in something from the 90’s, if ya know what I mean?! If you’re looking to add some corduroy to your life, I’m rounding up a few of my current favorites. Right now I realllly want a corduroy jacket, a corduroy jumper dress and maybe even a corduroy mini skirt. Can we say corduroy obsessed?! We have a jumper dress on order for My Kind of Lovely that I think will be so cute for the holidays but what corduroy pieces are ya’ll eying?! I love shopping Forever 21 for super trendy pieces that I may wear a few times and get tired of because they’re so inexpensive. But Topshop & Madewell also have some of the best corduroy pieces right now. Dead over this jacket. Putting it on my Christmas wishlist right now!